With the 116th Congress kicking off on January 3, 2019, and the Democrats seizing control of the House, it did not take long for a bill to emerge that would strengthen and expand the nation’s Social Security program. 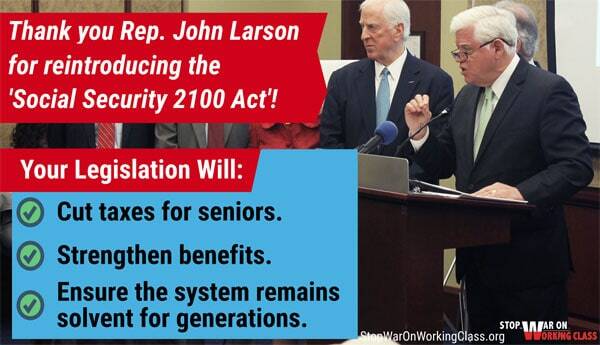 The millions of members and supporters of the National Committee to Preserve Social Security and Medicare are truly gratified that Rep. John Larson is re-introducing his Social Security 2100 Act — and that the bill will finally get a fair hearing in the United States Congress. There is no better way to help Main Street than to elect members of Congress who appreciate Social Security’s immensely positive impact on our economy – and will work hard to expand on the program’s promise. Social Security is the major source of income for most of America’s elderly with 46% of retirees depending on Social Security for 90% or more of their income and an average monthly benefit of just $1,269. The Social Security COLA has averaged just over 1% over the past five years with 0% for two of those years, far below the largest spending increase seniors’ face, which is spending on health care. We are not alone. Boost Social Security Now is not just about one organization lobbying for change. It’s about members of Congress, advocacy groups, members of the press and grassroots activists who are all working to change the viewpoint of our nation’s leaders. 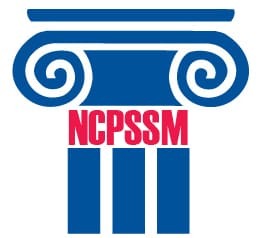 Here are some of The National Committee’s allies and friends who are also working to redirect Washington’s perspective from cutting benefits to expanding them.